The performance had taken place in Santiago, Chile, on March 31 at an event attended by the President. 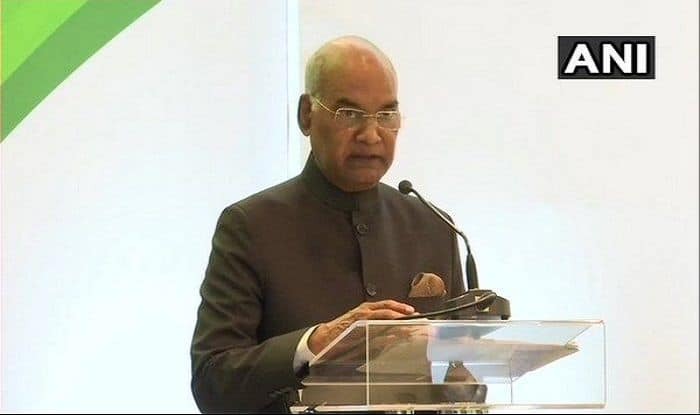 New Delhi: President Ram Nath Kovind has had to delete a video clip from his social media accounts following severe criticism from members of the Sikh community, said reports. The clip was of a dance performance on ‘Mool Mantar’, a composition from Guru Granth Sahib. The performance had taken place in Santiago, Chile, on March 31 at an event during the President’s visit. Mool Mantar appears at the beginning of Japji Sahib, which is a prayer at the beginning of Guru Granth Sahib. However, many Sikh groups protested soon after the clip was shared on the President’s Twitter handle on April 1. After the tweet and the Facebook post were deleted on Wednesday, President’s press secretary Ashok Malik tweeted, “Earlier this week, President Kovind was invited to an Indian community event in Santiago during his state visit to Chile. The organisers, members of the diverse Indian community, put up a cultural show and some videos were shared on the President’s social media accounts. A daily quotes sources as saying that while the Rashtrapati Bhavan did not have a say in the performance or the choice of songs, the audience was free to record. Akal Takht chief Giani Harpreet Singh has reportedly directed the Shiromani Gurdwara Prabandhak Committee (SGPC) to “probe the issue in a serious manner and take action”. An SGPC official said that the President did not himself upload posts on Twitter. “His office should find out who uploaded it…. That person may not have been aware that it would hurt Sikh sentiments,” he said.